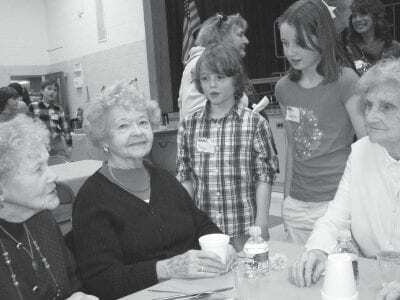 Matthew Paterson Elementary School students Lauren Hoffmann, 9, and Richie Davis, also 9, enjoy chatting with Harriet Mahoney (right) along with Kay Mosher (left) and Marion O’Keefe at the holiday luncheon last week. Dozens of “seasoned … Please login below or purchase a subscription to the Putnam County Courier to access this content. On Saturday, December 4, from 10 to 11am, Putnam Hospital Center’s maternity department will offer a Pets and the Newborn Class in its Birthing Center, located at the hospital at 670 Stoneleigh Avenue in Carmel. This special class will offe… Please login below or purchase a subscription to the Putnam County Courier to access this content. A generous donation of $15,000 worth of band arrangements—full scores and parts for a full performing orchestra—has been made to the Mahopac and Carmel School Districts. Mark Pekowsky, a career educator in Yonkers who resides in Mahop… Please login below or purchase a subscription to the Putnam County Courier to access this content. 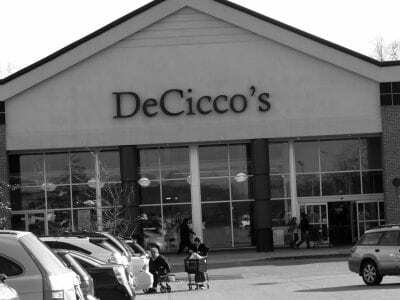 DiCicco’s Family Market has opened to rave reviews in Southeast. One of the region’s leading supermarket chains has arrived in Putnam County. DeCicco Family Market moved into the former Linens ‘N’ Things outlet adjacent to … Please login below or purchase a subscription to the Putnam County Courier to access this content. 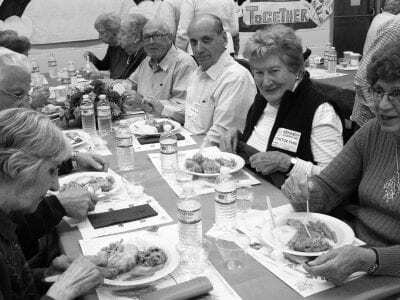 Senior citizens from the Southeast-Putnam Lake area enjoy their meal courtesy of the Brewster School District. 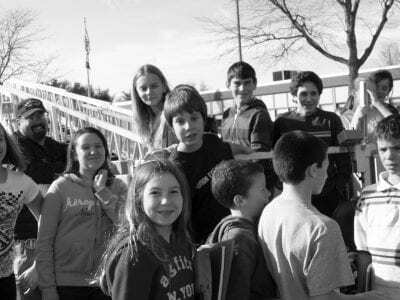 The welcome mat was out Friday at the John F. Kennedy Elementary School in Brewster when 75 senior citizens were treated to a special holi… Please login below or purchase a subscription to the Putnam County Courier to access this content. 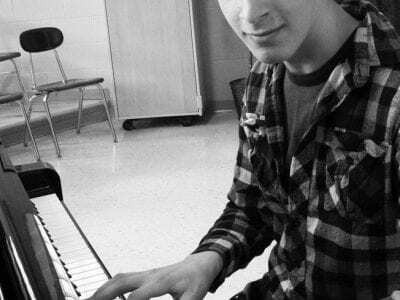 Ben Bisognio plays a tune on a piano at Brewster High School last Friday. On Thanksgiving the 15-year-old sophomore will be marching in the color guard at the Macy’s Parade in Manhattan. While watching Thursday’s Thanksgiving Day Parade … Please login below or purchase a subscription to the Putnam County Courier to access this content. Children enjoyed learning about the department’s 100 foot tall tower ladder truck. Fire Prevention Week is celebrated nationwide each year in early October, but in the greater Brewster-Southeast area fire prevention is a daily occurrence thank… Please login below or purchase a subscription to the Putnam County Courier to access this content. How Do Putnam Schools Teach Thanksgiving? Every elementary level student in Putnam County enjoyed a Thanksgiving feast this week in preparation for the holiday. Although cynics may say that valuable learning time was wasted, some students were submerged in knowledge. At the Garrison Union … Please login below or purchase a subscription to the Putnam County Courier to access this content. 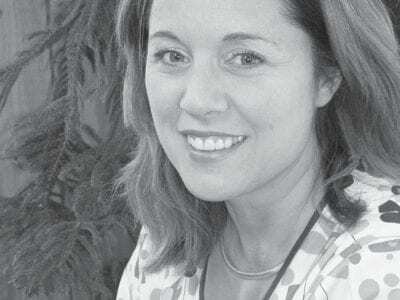 Susan Pieratti recalls her days as the “Voice of NYNEX.” Two of America’s most recognized voices hail from Pawling. 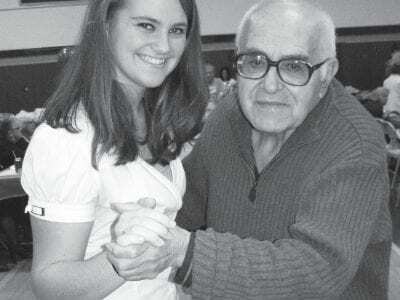 Susan Pieratti, wife of Kent chiropractor Dr. Larry Pieratti, was for years the “voice of NYNEX” while … Please login below or purchase a subscription to the Putnam County Courier to access this content.